A specific day is responsible for this post. It was a day that I closed the book on a trilogy. Like a poet placing punctuation on his final stanza, a story was delivered to us in a George Lucas-like effort. This day brought the final installment of an extended introduction. 2011 was a three-part interview from a hungry artist looking for an opportunity. Although the experience was not there, The Weeknd’s Abel Tesfaye cemented himself in the scene and emerged as a 20-year old prodigy who owned a certain blurred, fuzzy, morning after side of music. Diving into the daze for the final time on December 21, a simple trip to the band’s website, I realized I was a click away from closure and the appreciation was on. House of Balloons was the first installment and a ferocious introduction to the Toronto native. Tesfaye offered this story along with Thusday and follow up Echoes of Silence in an amazing 12-month span. He had a plan, he was in control, and The Weeknd made sure that people were going to continue to talk about him as the New Year set in. He is not only an extremely talented musician, but also a brilliant campaign manager. Tesfaye used Twitter as a platform to score nearly 300,000 new supporters. He is an engagement driven musician with an expedited album release cycle. The Weeknd truly embodies the speed of this digital era and that is why he fits so well. The foundation was in place when The Weeknd released three songs “What You Need”, “Loft Music,” and “The Morning” to YouTube late in 2010. The lift off occurred on March 21 when The Weeknd digitally released House of Balloons to the world. I caught a tweet about it and immediately downloaded it. A dark, hip-hop, R&B mix that embodied a lustful story laced with drug references. An intoxicated admission to sin, The Weeknd opened his closet and made us friends with his skeletons. Tesfaye was able to not only paint the picture of a night out on the town so masterfully, but also provided an unbelievable sound in his voice to make it believable. Songs like “Glass Table Girls” make me think that Tesfaye is the cool underclassman at the party that is accepted by his elders. Lines like “So I listen to her moans echo / I heard he do drugs now / You heard wrong I have been on them for a minute / We just never act a fool, that’s just how we f*ckin’ live it” find Tesfaye painting a familiar hip-hop picture: chasing a high and the company of a girl. I love House of Balloons because the Weeknd uses inebriated messaging to paint a blurred, but visible picture for me. The story carries and the themes remain consistent throughout. Upon reflection, the songs are steady. The only thing that is inconsistent is the lady he is talking about. The Weeknd stayed up with us and continued his nocturnal nature and released Thursday on August 18. His themes remained in tact and this release felt like a continuation of ‘House of Balloons’. Songs like “Rolling Stone” displays his non-complacency when it comes to settling down, with lines like “I got you, Baby I got you / Until your used to my face / And my mystery fades.” While The Weeknd is as vulnerable as a hole in the final piece of a puzzle, he bleeds confidence with his dialogue to the ladies. After I absorbed this album I realized that the Weeknd was a mix of uncertainty with an undertone of honesty. The empire had struck back. Acclaimed music journalist, John Norris, is on record of saying that The Weeknd is “the best musical talent since Michael Jackson.” An extremely bold statement that I would imagine placed a lot of pressure on a new emerging artist. The impressive component is that Tesfaye responded to this request much like a Reggie Miller 3 pointer in the Garden during winning time. It was clutch, and he gave us Echoes of Silence to beat the buzzer on 2011. Opening track “D.D.” appears to be a response to Norris’s bold statement as The Weeknd covers Michael Jackson’s “Dirty Diana.” This signified a confident beginning to the end. When I listen to this song I think about Michael a bit, but The Weeknd owns it and makes it his own. I believe that he possessed his own Diana in life, and I am just glad he remembered her name. The Weeknd won a job in my rotation with his follow-up interview thank you note in “Initiation”. He delievers with lines like, “All my writings on the wall, I thought I passed my tree and I’m experiencing fall, and all I wanna do is leave cause I been zonin’ for a week, and I ain’t left this little room, trying to concentrate to grieve” He is comfortable in his persona, but more importantly content enough to show weakness. The Weeknd’s formula makes listeners not only think about Norris’ statement, but consider it. It took me that one-day for this work to sink it. I was able to recognize the hard work of an emerging artist. An expedited musical trilogy was given to us all, for free, and it was time to be recognized. 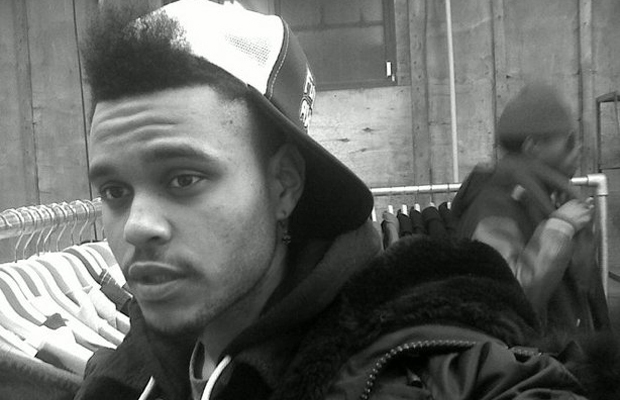 The Weeknd exemplifies the rising trend in self-marketing amongst rising musicians. He is willing to commit to engagement. After listening to the trilogy countless times I can say that the commitment to engagement can’t be said about his love life.